French moneybags Paris Saint-Germain are preparing an ambitious summer move for Real Madrid pair Cristiano Ronaldo and Jose Mourinho, who could help to induce the Parisian side into the football elite. PSG Qatari owners are looking to pay whatever the price to bring Real Madrid boss Jose Mourinho and Portuguese superstar Cristiano Ronaldo to the Parc des Princes. 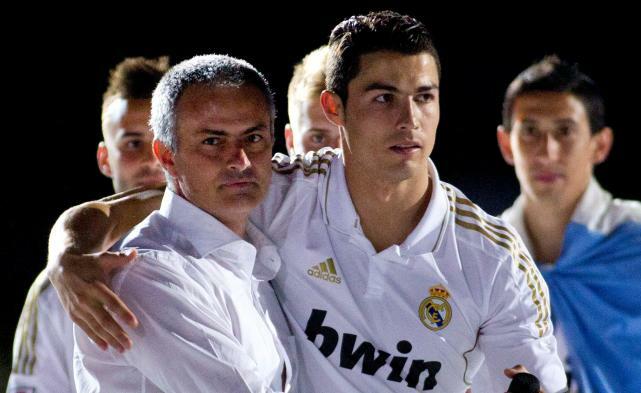 The Special One is expected to leave the Santiago Bernabeu at the end of the season following the failure to claim La Liga title this season, while Ronaldo continues to stall the negotiations on the new contract and the club may be forced to sell him for £80 million. PSG are arguably the only club in the world that could afford signing them both. Despite the recent big-money transfers of Ibrahimovic and Beckham, Qatari owners are determined continue spending in a bid to raise the French club in status.